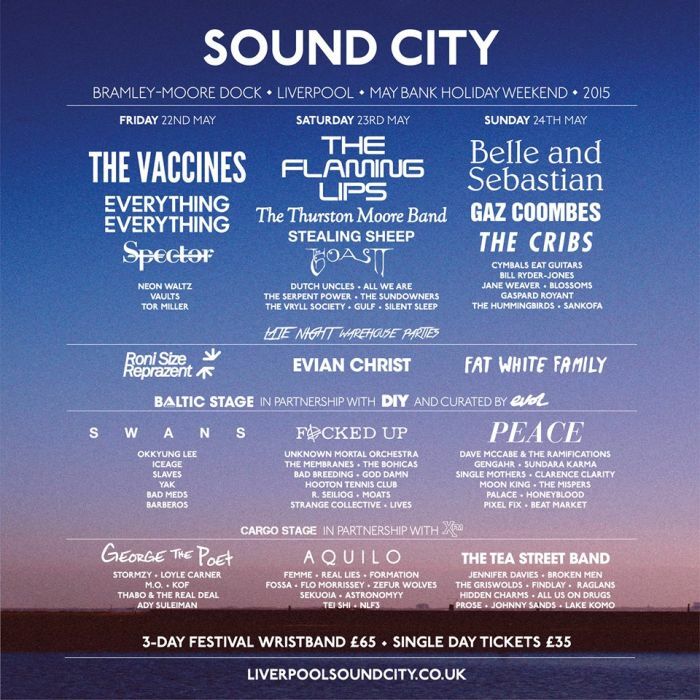 Liverpool Sound City 2015 – looking good ain’t it? 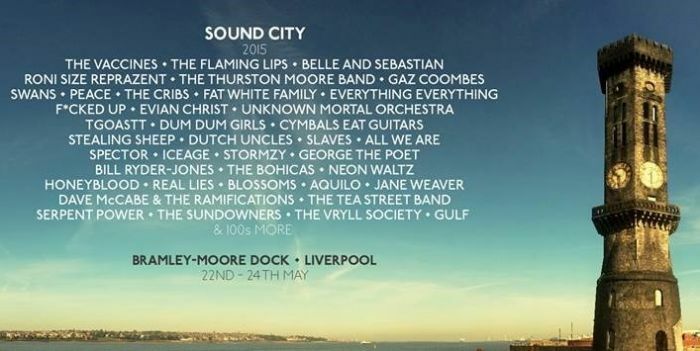 Liverpool Sound City 2015 is just days away – and Getintothis has festival wristbands up for grabs. 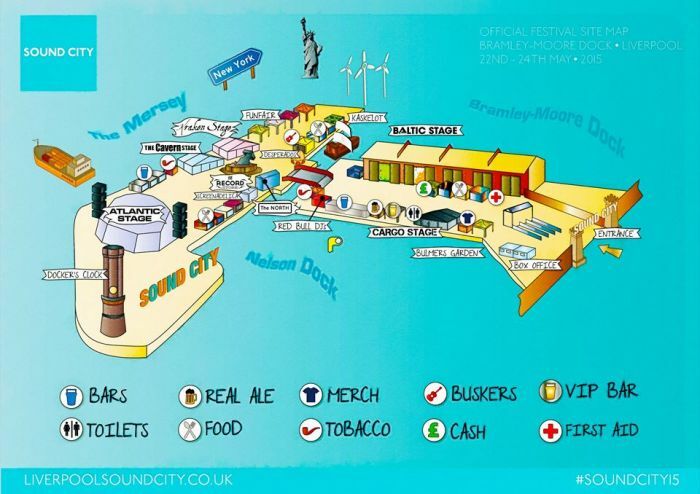 The waiting is almost over – Liverpool Sound City 2015 is upon us. 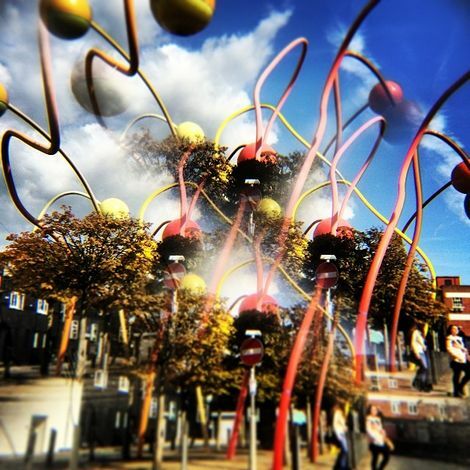 With its new site, Flaming Lips-endorsed heavy-hitting billing and stellar conference names in place, it’s fair to say our appetite for Sound City 2015 is satiated. However, if you’re one of the foolish whoppers out there that’s yet to snap up your festival wristband, consider this a snazzy opportunity to do so. *But first*, take a look at some of our handy guides to whet salivate your music-hungry soul. Revel in our guide to the Top 10 must-see international acts. Dance your socks off to our top 10 UK bands to see at Sound City. Or spot your friends in the Top 10 Merseyside bands playing down the docks. Oh, and check out this handy guide to the stages below. And we’re not finished yet – prepare to be positively aghast at the wealth of Expo talent from Australia, France, Latvia, Korea and Swindon* playing this year’s event. And finally, gander ye within this link to see everything else that’s on offer at Sound City that’s not really music orientated – there’s loads. Oh, okay, here’s the competition bit. Yep, win a Sound City festival wristband simply by liking and sharing our Facebook page and leaving the answer to the following question in the post beneath this story on our wall. Good luck! Q) Which band is headlining Sound City on Saturday May 23? d) You Leave That Flaming Door Open One More Time, Lad, And I Am Going To Give You A Clip Round The Ear. Do You Hear Me? * There’s no one playing Sound City from Swindon. We don’t think anyway. Pretty sure. Roni Size, maybe. We’re not Googling it.